Update: Jenny is the winner! Congrats! This week marks my 6th anniversary of blogging(! ), so I thought we'd celebrate with a giveaway. 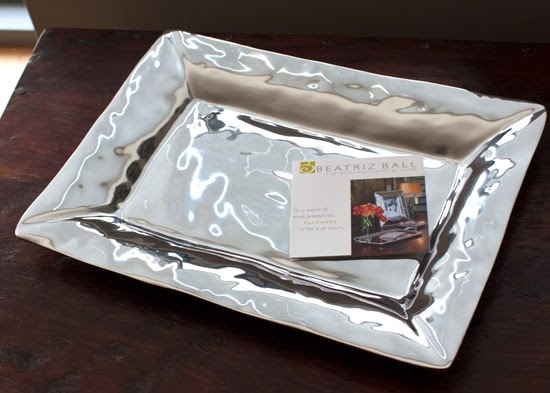 And appropriately enough for The SoHo readers, I have the SOHO rectangular platter (valued at $88) from Beatriz Ball. 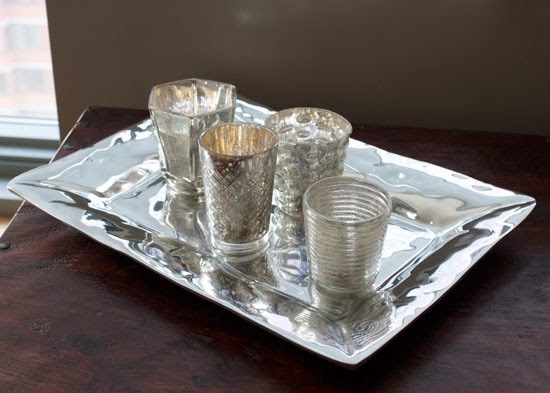 It's simple and elegant, handmade from recycled aluminum and easy to care for -- it never needs polishing! 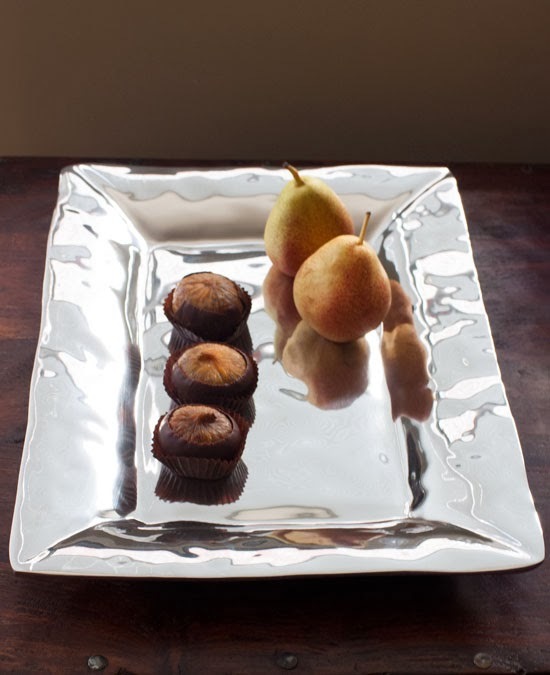 Be sure to check out the Beatriz Ball Collection to see more of their gorgeous tableware. For a chance to win, just leave a comment below before 11:59pm ET on Wednesday, January 22nd, telling me how you'd put this lovely platter to use. One winner will be chosen at random. Good luck! I would use it to hold stuffed mushrooms,pina coladas , or crackers and cheese. I would use it to house pretty candles! Or for displaying desserts. I have been looking to find the perfect tray for my kitchen table. I'd use it to display french macarons and bubbly at my next girls night in with my bests. This is gorgeous! What a lovely platter to put out lemon squares on after dinner. This would be a great after dinner sweet platter. Candles and mazagines on my coffee table. How great that you don't have to polish it! I would use it to serve up some steaming mugs of cocoa. Gorgeous! I would love to put marshmallows on it at a hot cocoa bar! I love it! I'd use it for Christmas cookies - I'm always scrambling to find a good solution for serving them at our Christmas party. Like, every year. I would put my mugs or my jewelry on it! Wow, so many things this could be used for but I would probably put some candles on it with some clear glass pebbles scattered around and put it on my coffee table or kitchen table. It would look so pretty!!! What a gorgeous platter! Thanks for doing this giveaway and congrats on 6 years of blogging! I'd take this to the bedroom! I'd love to use this on my dresser with my pretty, collectible compacts, candles and girly things! It is such a stunning piece. This platter scream elegance with an edge and I would be a proud owner of it! This platter is awesome...and I think I would use it two ways...cheese plate or for candles! Thanks for the chance to win! Almost looks like water. I like it. Serving trays are missing from my array of kitchen stuff and I find it hard to find nice ones. This is beautiful! I would place a few white candles and river rocks within in! Congratulations on 6 years! This platter would surely be put to good use corralling our growing arsenal of remote controls in the living room. What a pretty platter- I would use it for desserts on Sunday dinner night!